Many more photos and a full Big Apple write up to come tomorrow! awesome idea. I probably should have considered that early in the day, it would have been impossible to do that come 3 or 4pm. I covered the day pretty extensively as well and I'm happy to see you enjoyed Jim 'N Nick's, such a great showing for a newcomer. 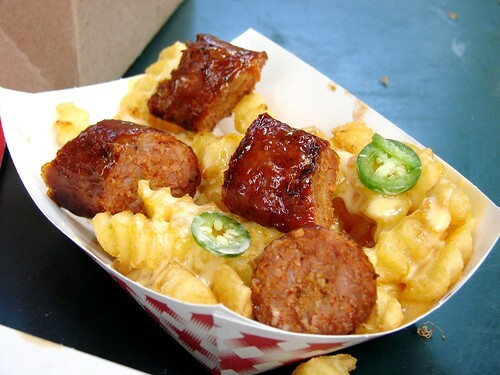 This makes me think of the bbq nachos at virgils - one of the only things I like to eat there. Chips, cheese, jalapenos, bbq pork, bbq chicken, and bbq beef. Yum.